My grandfather, Anthony J. 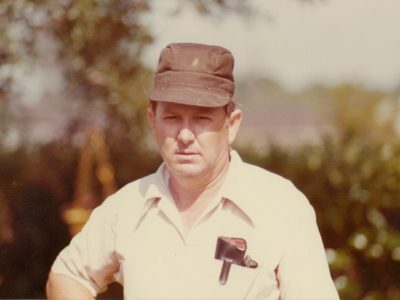 Rouse, Sr., learned the produce business by working for his father’s packing and shipping company. In 1960 he opened his first grocery store, a modest 7,000-foot store in Houma, Louisiana, with his cousin, Ciro DiMarco. My father, Donald, and my uncles, worked at the store after school and on weekends. Pa built his first supermarket in our hometown of Thibodaux in 1975. By then my great Uncle Ciro had retired and my dad had taken over his role. Over the next three decades, Pa, dad and my uncles built our company into the largest independent grocery in Louisiana and then one of the largest independents in the United States. Pa continued to help the company until his death in 2009. Our commitment to buying, hiring and investing local is his legacy. Making a difference in every community we serve. Supporting regional food systems by buying from local farmers, fishermen, manufacturers and vendors. Promoting our local culinary heritage.